What is a Frame Building? Scioto Country Club was originally founded in 1916. The country club is a member of an elite group that hosts major championships including the U.S. Open, the Ryder Cup, the PGA Championship, and more. Arguably one of the top golf courses in the country, Scioto Country Club is also well known throughout the local community as an important gathering place for family and friends, a treasured part of the history of central Ohio, and a home away from home. A young Jack Nicklaus honed his game at the well-known club in the very early days of his career, and eventually transformed into who is arguably the most successful golfer of all time. 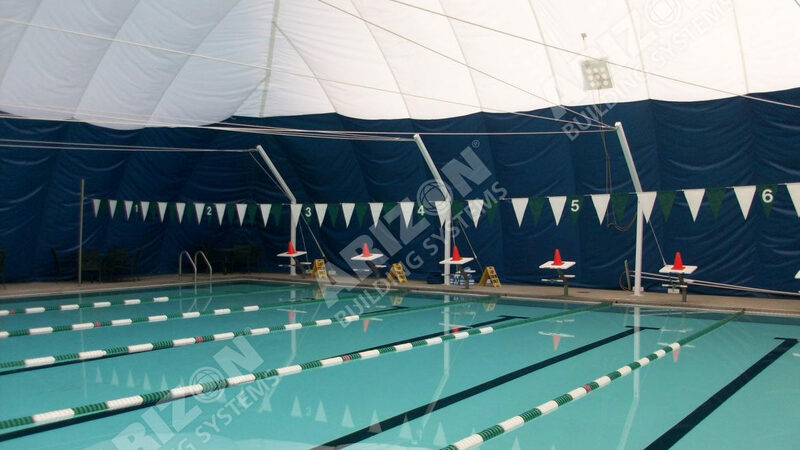 Provide a seasonal dome for a swimming pool at one of the most elite country clubs in the country with a quick turnaround time. Arizon provided a seasonal swimming facility for the Scioto Country Club while working on a tight deadline and fast tracked schedule.